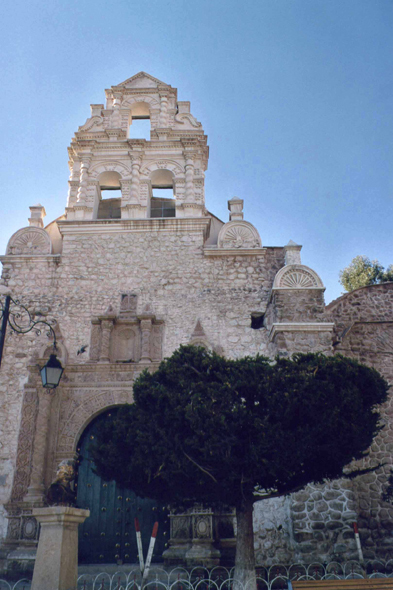 The church of San Bernardo, in Potosi. The original structure dates from 1590. the church was entirely renovated at the end of the years 1720 and was used during XIXth century as parochial cemetery. The convent shelters today a workshop of restoration of art for the students.